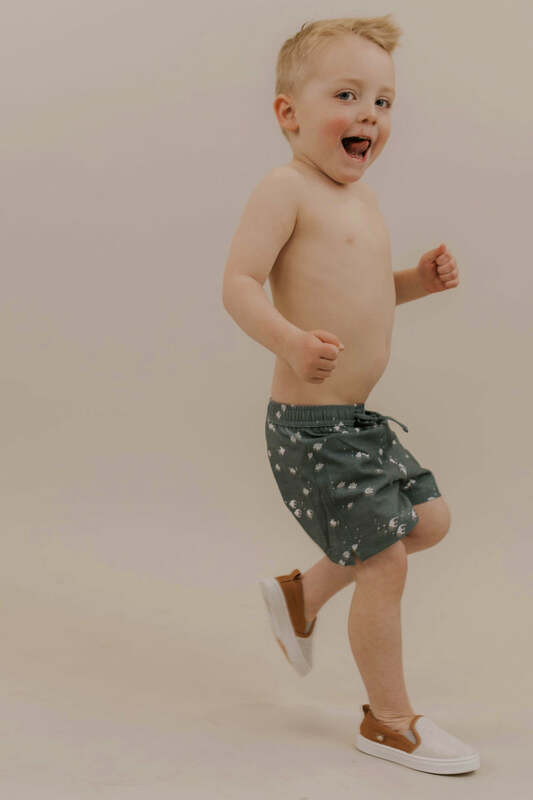 We are in love with these kid swim shorts, and think you will be too! The Rylee + Cru Pineapple Swim Shorts feature an adorable pineapple print on a sea foam blue. The functional drawstring and elastic waistband make an easy on and off for your little guy.